So what’s happening in Cultureland that nobody in the arts wants to talk about? What of Temple Bar Cultural Trust (TBCT), Dublin Contemporary, the City Arts Centre, the Hugh Lane, and IMMA? And more. Why, oh why, are our poets so silent? Our artistic community schtum? Fear stalks Cultureland. Fear that the regimes of vested interest – the self-serving organisations and individuals who have dominated and ‘agency captured’ the arts sector for the best part of 25 years – are about to snap asunder because their dark and sinister arts of cronyism and cartelism will be exposed. Never had so few, with their huge salaries and even bigger egos, had it so good. Take your seats Ladies and Gentlemen, the show is about to begin. At the heart of this episode is Temple Bar, for so long the big brother of Dublin’s arts, having been run since the 1990s by arts administrators. Most famous was the first wave, ushered in by Charlie Haughey and his gushing lieutenant, Paddy Teahon. That was the Temple Bar Properties of Laura Magahy and Patricia Quinn (remember them?). 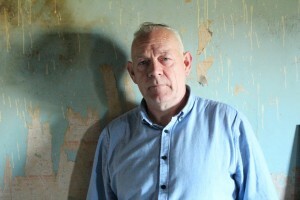 Ultimately it was succeeded – via a legacy of inflated land values, dispossessed artists, and destructive pub expansions – by the TBCT led by Dermot McLaughlin, who was suspended after three members of staff were offered redundancy packages worth more than €100,000 each, and who recently resigned from his position at Derry City of Culture. 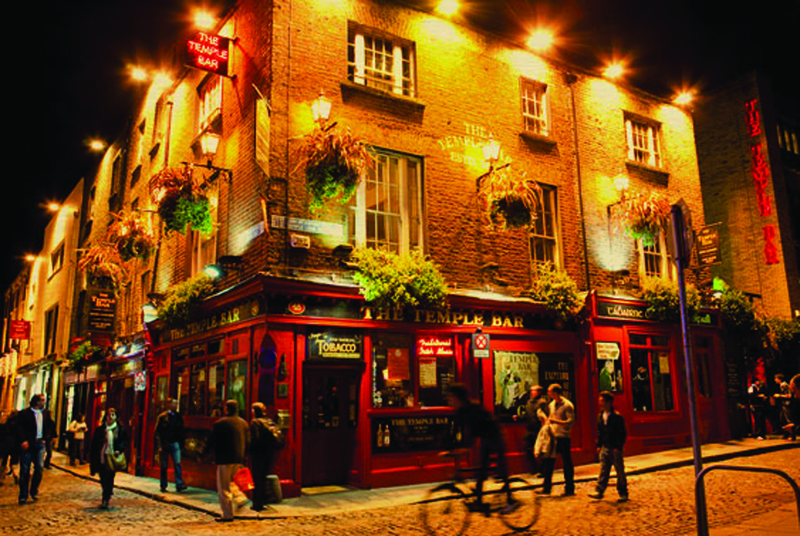 The many cultural organisations in Temple Bar are predominantly funded by the State through the Arts Council, the Department of Arts, and Dublin City Council (DCC). TBCT is a private company that manages a property portfolio belonging to DCC. This property is in the form of commercial units and what are known as ‘cultural use’ units. About €2.5m in rent is generated from these publicly-owned properties. The cultural properties are all low rent or no rent, paid for out of grants from the Arts Council. The Dublin City Manager, TBCT’s sole shareholder, is a somewhat absentee landlord, by and large. A culture of insider trading and nepotism has developed in state-funded arts organisations and nowhere is this more pronounced than in the so-called ‘arts cluster’ in Temple Bar. The inner circle of ruling-class culture elites could systematically arrange cosy deals for their buddies, while at the same time indulging substantial arrears from tenants and getting paid fat fees themselves. The likes of The Theatre Institute, Temple Bar Galleries, Smock Alley, and the revamping of Meeting House Square availed of lucrative arrangements and loans. A recent audit report draws alarming attention to these arrangements. On the other hand, hard-pressed and struggling artists were disempowered and disregarded. The whole culture of creative arts and culture was hijacked, commandeered by ‘administration’ masquerading as creativity, or guardian of creativity. They had successfully rendered the means of production unto their own pockets. That DCC audit report, released in March, into TBCT’s working practices 2011-12, makes an extraordinary 59 recommendations, while not imputing any wrongdoing. Thirty are rated at the highest rate of urgency for change. In the section on Board Direction and Control it states: “The Strategy/Business Plan was not approved by the Board for 2010/11. Board minutes and Board Papers were not available to show that loans of €2m and overdraft facilities of €500,000 provided by Ulster Bank were approved by the board. External auditors of TBCT have been in place for ten years in contravention of good corporate governance”. The next section on financial reporting states: “Financial Procedures were not in place. A procedures manual is currently being drawn up by TBCT”. The report says: “All six VAT Returns for 2011 were late and there was no segregation of duties in the preparations of these VAT returns”. In the section relating to Expenditure it reads: “Contract (including CEO contract) or other documentation was unavailable in three out of four cases”. The report goes on: “During the expenditure testing, salary advances to staff (including the CEO) of €5,857 in 2011 were noted. Company credit cards were used in 2011 for personal expenditure amounting to €2,550 and later repaid through salary reductions. “The majority of the credit card expenditure sampled did not have appropriate receipts or documentation to verify the business requirement for the expenditure”. TBCT used its nebulous status as a ‘Trust’ to evade the normal minima of corporate governance. Recently, an ad hoc network of cultural organisations from the Temple Bar Quarter met the interim city manager, Philip Maguire, in a feeble attempt to look like a coherent cultural body which could influence the future for the collapsed and disgraced TBCT. Of course, they were given a pat on the head and told not to worry. The group, inevitably, benefits from the cosy cronyism at TBCT, as nearly all of them rented property from that organisation. They have not made any public comment about the scandalous findings of the DCC audit of TBCT, and are slow to make any observations on the taxpayer-funded 2011 Latitude Report which concluded that the trust should be wound down within three years and its activities taken on by Dublin City Council, to save the council €800,000 a year. Yet now with an end in sight for TBCT, many of them are leaping up and down wildly in order to save their positions and their cushy little numbers. Needless to say, no actual practising artists were part of this closed shop. The Campaign for the Arts, the Theatre Forums, Irish Actors Equity and Aosdána among others must break the silence, even though they may be part of the problem. It is said that the arts and culture and the poets are good for shining light in other people’s dark corners; it is time now to shine that light on our own. A full evaluation and audit should take place of exactly who got the money and what it was spent on. One thing is for sure, it didn’t go to the artist or the practitioner. It has certainly, however, enhanced the bank balances of CEOs, Curators, ‘executive arts administrators’ and the chosen elite of artists. So what did TBCT do with your money? What did Dublin Contemporary, which sputtered into our lives with a brief exhibition in the former UCD Engineering building, run largely by IMMA staff, do with the money, and what was its final cost? What did the City Arts Centre, after it decamped from its once vibrant headquarters on City Quay, do with the money? Why did it recently close its doors on Bachelors Walk and has it fully accounted for the almost €1m DCC given it to move there in the first place? There has long been financial mismanagement scandal in the Arts – remember the Abbey Theatre, the James Joyce documents and the most recent coverage in the media on the Hugh Lane Gallery. I shall return to these themes. Lots of artists and individuals who want to contribute and work in the arts in this country just find it too difficult to get beyond the closed door and the culture of the self-centred few. More and more young Irish artists are leaving this place, not because of the austerity and the downturn in the economy, as artists are well used to parsimony and hardship, but because, like so many institutions in this country where there was power and money, there was light-touch regulation and a hands-off approach. Let us not make the mistake of allowing those who facilitated this situation in Temple Bar and within the arts community to reorganise themselves to continue the same closed shop and arrogant monopoly. We need an open, culturally-democratic process immediately and a new system cannot be dictated by those who have been found fumbling in the greasy till. The artist has nothing to fear; the arts organisation and those that have held sway for decades should have everything to be concerned about. What went on in the banking sector and with the property boom, the scandals of the Church, and the state’s failure to stand up for the people who it is meant to serve, has dragged us into the black depths of a moral and social morass. The arts and cultural sector that this society looks to – sometimes – for answers, became part of that whole sorry mix of institutionalised corrosion and corruptedness because of its failure to do the basic decent thing – to be responsible, be accountable, be trustworthy. Currently the findings of the Latitude report on TBCT’s corporate governance are being reviewed by (perhaps tellingly) former IBEC chief, Turlough O’Sullivan. There is also an investigation, or rather a witch hunt into press leaks from TBCT, evidencing an obsession with who released what it terms ‘confidential’ information. There was nothing confidential about TBCT and the culture of TBCT and its cronies. It was instead ‘secretive’, an Irish speciality. Now that secret is out and the City Council has sent in the suits and the shirts and the blouses to begin the process of forensically winding it down. What wasn’t audited was the Temple Bar Rainscreen project. For some strange reason the DCC internal audit unit didn’t cover this. What we don’t want here is a DCC cover-up or a whitewash. Remember, DCC staff , and indeed Councillors, sat on the board of TBCT over the years and they must be held to account. What of Dublin Contemporary, the City Arts Centre, the Hugh Lane, and IMMA? I certainly believe that the Irish people are in for a culture-shock and a cultural awakening. This is no terrible beauty it is just plain terrible, and it is time now for artists everywhere to stand up to the few and demand cultural democracy and change. No more marginalisation or pseudo-participation or appeasement. No more childlike responses. As an artist and an Independent Dublin City Councillor it is my duty to bring this matter to public attention not as a hissy fit but because I believe we can develop a new culture of honesty in this society, starting with arts and culture. Ultimately those responsible for the crisis in TBCT and the Temple Bar Cultural Quarter are Dublin City Council and the state which completely took their eye off the ball. It is time for the incoming city manager of Dublin City Council, to enter stage right and get the past cleansed and the record straight. This is just act one, scene one, of the tragicomedy that is Cultureland Dublin and all its players.